Wordless Or Not So Wordless Wednesday Blog Hop.. Happy Wordless or not so Wordless Wednesday photo blog hop. Do you want to join us and link up any post that has pictures in them today? Any family friendly posts welcome, outfits, crafts, recipes and photography. 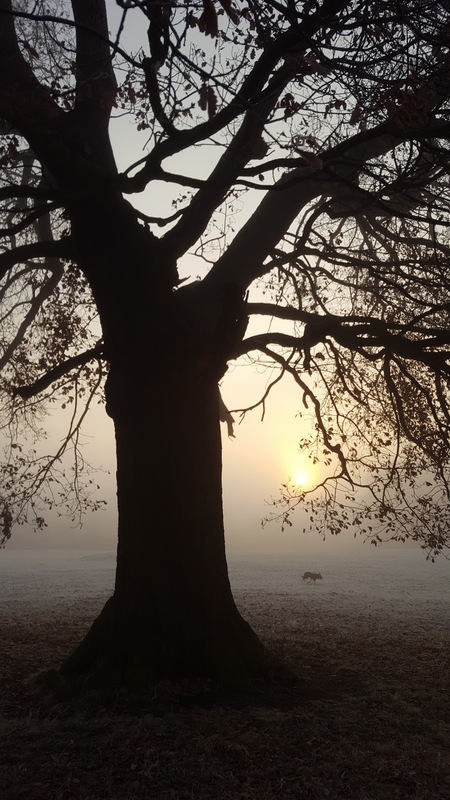 I took these photos on Monday when I and Mollie were on our early morning walk at the park. 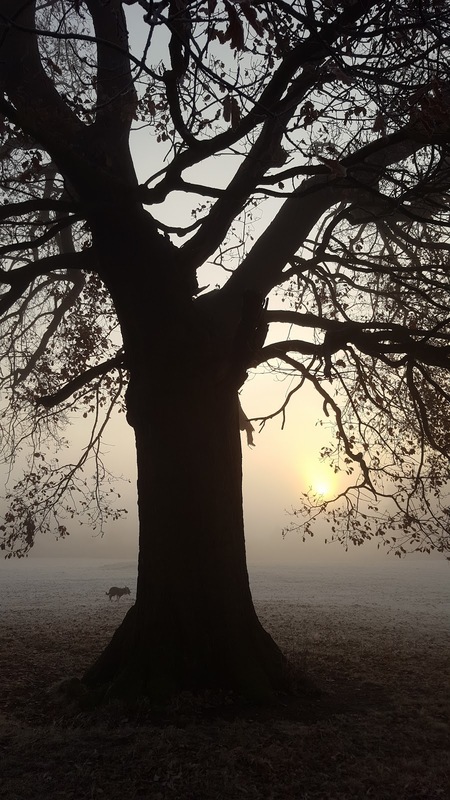 It was so foggy and frosty, I could hardly see her. She is never too far away, though, can you spot her? I love these pictures. There is something kinda eerie about them. Don’t you think too? Morning light, with a dark shadow. The sun trying to rise throughout all the fog. 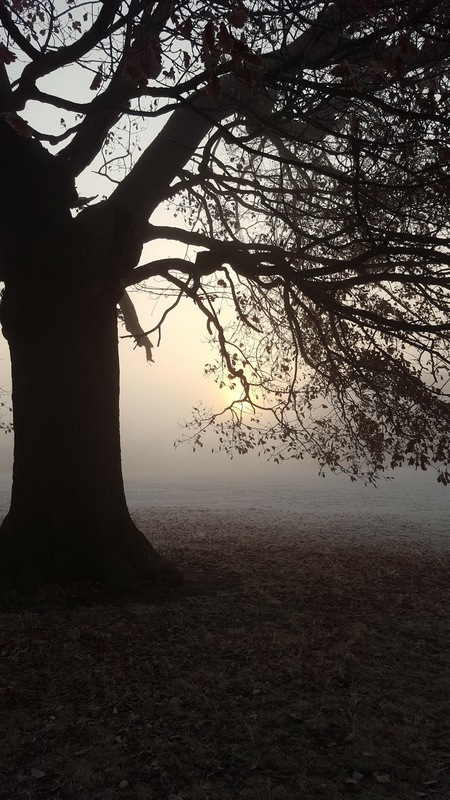 The coldness of the frost but the warmth of the sun. Mollie got quite mad at me here, though. I was taking pictures and not paying 100 % to throwing the Frisbee for her!! She was pacing around, looking at me. Just throw the frisbee mum, I do not want you to take any more pictures!? Let’s just go! Haha!! Mollie doing her traditional Sheep Dog, rounding me up thingy!! She loves rounding me up when I am not focusing on her. Morning walks are all about Mollie!! It was a beautiful and cold morning, watching the sun rise.  I really enjoyed the peace and quite. Not having to worry about anything and not seeing a dog walker for miles. Just me and Mollie alone with our thoughts. Do you like mornings like this? After a mad rush of getting everyone’s breakfast made, lunch boxes finished and all out on time, this is just what I needed. Time to link up and share with us what photo’s you have been snapping away at this week. You can link up to 3 posts each Monday, Wednesday and Friday. This list has now closed. 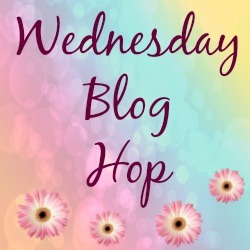 See you on Wednesday for our latest Wednesday Blog Hop. "Sweet Onion and Olive Focaccia…"
We don't get as much fog where I live now. We sure have our days of frost though. Those photos look great! Thanks Alissa, we have not seen fog for a while, then 2 days in a row! Fog can sometimes errie and scarry to drive in.Thanks for hosting and stopping by Oh My Heartsie Girls WW this week!Happy Holidays! Thanks Karren 🙂 Yes you can not see far in front of you can you..
My dogs get mad if I don't play with them too! Have a great week! Hehe, Dogs eh!? Mollie has had 3 walks today and she would have another if we had time!! We get a lot of fog here. It is our natural AC. Beautiful shots. Love the first one. Great party!! I love the photos of the tree and the dog!! Visited a few blog posts (some great stuff! ), even found a couple of interesting ads – Thanks for hosting! Your pictures are gorgeous! I could feel the weather!Thanks for sharing! Such lovely photos. We get a lot of fog coming in off the lake but I just love the colors mixed in with it on these.